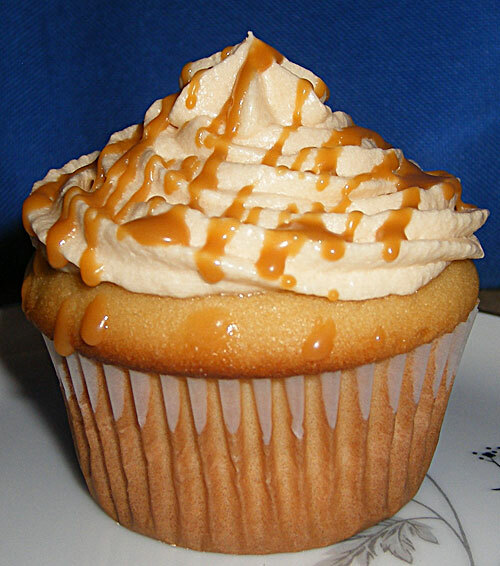 xoxo, Jen: Butterbeer cupcakes? Yes please! I made these starting on Sunday and did one step each day. 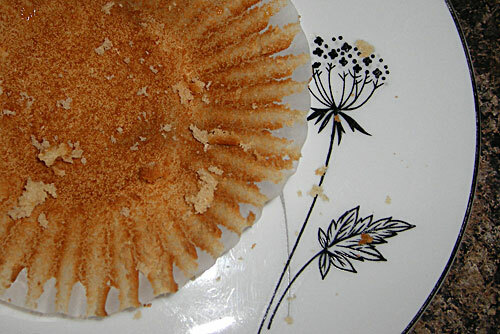 So Sunday I baked the cupcakes, Monday made the ganache and stuffed the cupcakes with it, Tuesday made the frosting, took some photos and then nommed one! I mostly did these by myself, but Jas helped me out by gathering up ingredients and measuring utensils. :) I hope you enjoy this virtual bite! I noticed that she also has a recipe for golden snitch cake pops! Too cute! OMG. I NEEEEED to make these! 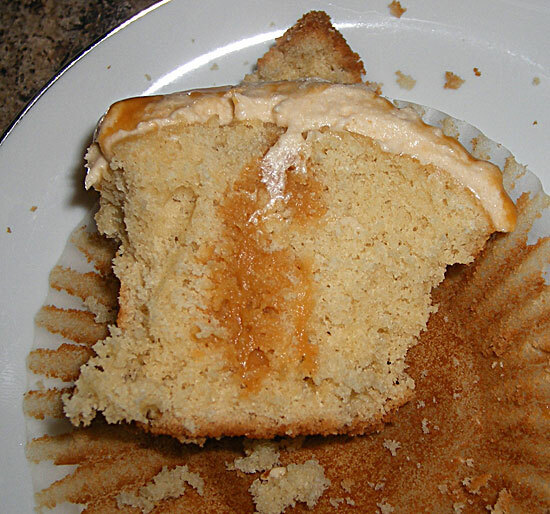 They were really yummy and in hindsight, I'd go with a Duncan Hines boxed cake mix rather than doing that part from scratch. Saves some time and I think boxed mixes are better than from scratch, boxed mix always seem so much more moist.